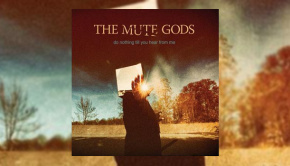 I’ve followed the unfolding story of The Mute Gods with great interest over their past two albums and have been eagerly awaiting the release of the final part of the planned trilogy – and possibly the final album from the band. Coming a mere 15 months after their sophomore release Tardigrades Will Inherit The Earth, an album that I raved about, naming it as one of my top ten of 2017. 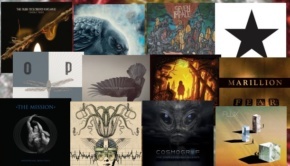 I loved the debut, Do Nothing Till You Hear From Me, too so I’m very happy to report that this continues in that vein of intelligent, thought provoking modern prog for the astute and open-minded to enjoy, and for the unconvinced to consider afresh. This album shows us several things quite openly. Firstly, Nick Beggs is not happy about the state of the world, politics, religion or humans. Secondly he is a well-read man, absorbing a lot of information. OK, he may be a tad fixated on aliens, but he’s no nutjob. Thirdly, in his anger and rage there is still hope, I think… just. The songs range from the title track, about the rise of the military and industrial complex and how it rules the world, affecting us all, to the futility of faith in One Day and Twisted World Godless. Nick is a former believer who’s personal faith has waned significantly over the last fifteen years or so, to the extent that nowadays he is appalled by the abuse of trust in these charlatans, their messages of hope (usually financially based) and how they mislead many along the way. Religion gets his hackles up for sure. Knucklehead deals with the state of humanity and how we are messing the planet up for the next generations. How sad, and tragic it is that with all our knowledge we only seem to destroy. It’s also about the empowerment of stupid people who believe all the nonsense in the media and how that has led to an increased sense of nationalism arising from fear. This is an album where lyrics are concealed within sweet melodies, like depth charges waiting to go off in your mind with some heavy subject matter, that’s for sure. There are also some very personal songs here too, like Old Men where Nick contemplates the fact that he’s 57 and doesn’t want to grow old, and also The House Where Love Once Lived, a song about how his house has seen his family’s life change through the years and the potential impact for when he and they move on to pastures new. Iridium Hearts aims at the root of populism, focusing on the shift of perceived reality in the face of political lies, a hard-hitting piece as indeed are many of the songs across the album. The final piece, I Think of You, re-balances things considerably, being a heartfelt and gentle instrumental for Nick’s long departed mother, who died when she was only 38 and Nick was just 17 years old. It’s a beautiful piece, calming and including the original wind chimes from an early recording, which adds to the poignant and melancholic mood. A beautifully played piano part from Roger King that makes this piece both personal, significant and very worthy. Musically this album ploughs a familiar furrow to the previous albums with lots of keyboards from Roger King, of Steve Hackett’s band, and Marco Minneman on drums, although Craig Blundell is on one track. One thing that will be of interest to many is the appearance of Alex Lifeson of Rush on One Day, playing both acoustic and electric guitar. Nick’s daughter Luka Beggs also sings on Twisted World Godless. 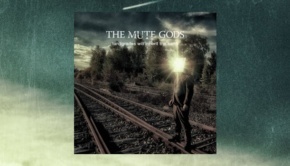 This is an album that needs time and investment to make it work for you, but certainly, if this is the end of the line for The Mute Gods, it’s a fitting conclusion to a very different and unique trilogy of works, and one that stands up well in modern progressive rock, musically, lyrically and intellectually. 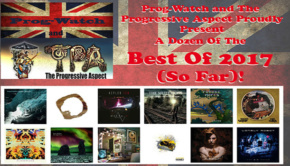 It’s an album with a message that needs to be heard by a far wider demographic than just ’70s fixated prog fans. If you buy it then do the right and decent thing, play it to all your friends and spread the message far and wide whilst we still can. This is a great album, well worth a top ten place at the end of the year. As an old Supertramp album quote for Crime of the Century once stated, “the promise achieved, a massive delivery…”. 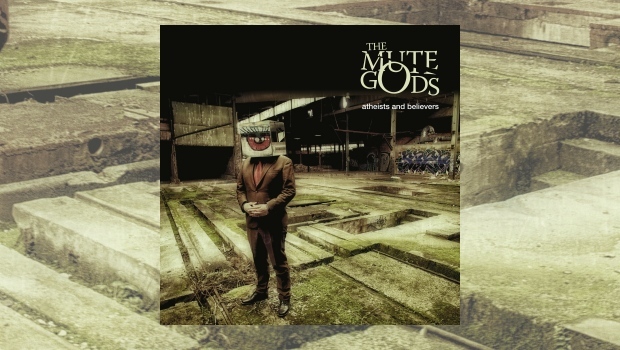 I truly hope that this isn’t the final curtain for The Mute Gods, that they do manage to do some live shows, and hopefully make another album. Theirs is a unique and much needed voice in the madness of this modern world.